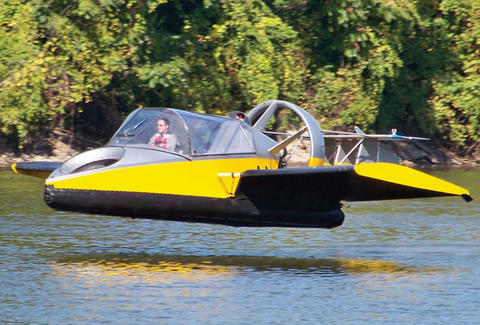 For when having the ability to travel by both land and water in one vehicle just doesn't cut it, Hoverwing by Universal Hovercraft offers a simple solution: just add wings. 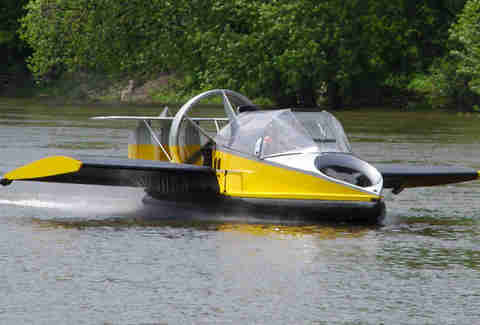 Designed to travel over various terrains (and water), this hovercraft is also able to take flight up to about 20 feet, with a cruising altitude over water of around 3 feet, thanks to its removable wings. No pilot license is needed to operate this bad boy, but it does need to be registered as a boat. Made of Kevlar and carbon fiber with a foam core, Hoverwing is pretty heavy-duty. It can lug payloads up to 600 lbs and reach cruising speeds of 75 mph over rough water. 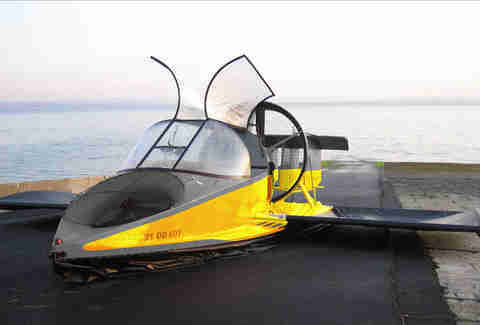 Not one to sacrifice style for performance, Hoverwing has an enclosed, climate-controlled cockpit with removable doors for summer cruisin'. Luxury options such as DVD players, audio systems, and chart plotting GPS are available for those who prefer to trick their hovercrafts out.